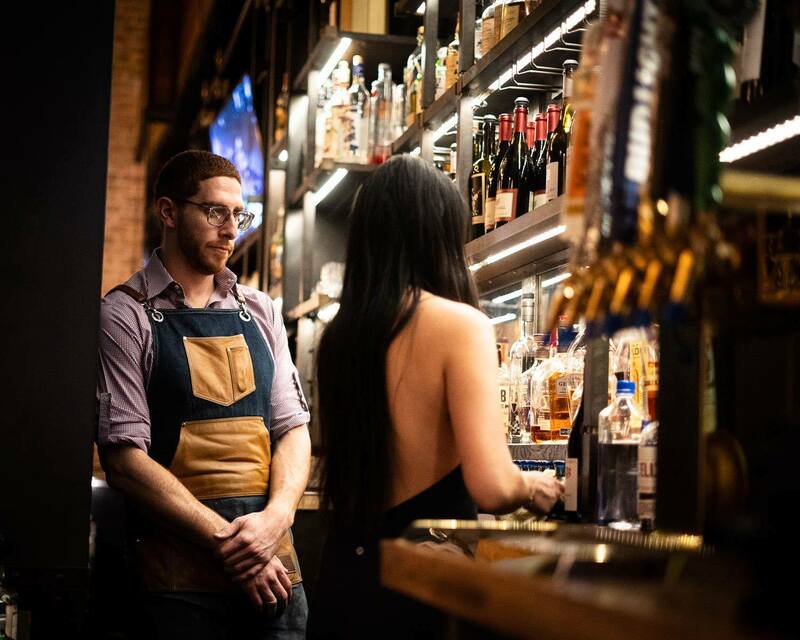 The Best San Diego Happy Hour You’ll Ever Experience! San Diego Happy hour. Is there a more joyful phrase in all the world? It’s possible, but none come to mind. At Lionfish Modern Coastal Cuisine, we take Happy Hour very seriously. Located in the bustling Gaslamp Quarter, there’s no shortage of amazing Happy Hour specials, so we go all out so that we can stand out! With National Margarita Day coming up on February 22, there’s no better time to discover the perfection that is Happy Hour at Lionfish. After all, one of our Happy Hour specials is the “Dante’s Peak” cocktail–our extremely creative take on the Margarita, made with activated charcoal, Casamigos Reposado, El Silencio Mezcal, agave, lime, and peach bitters. Is an hour really enough? We think not. 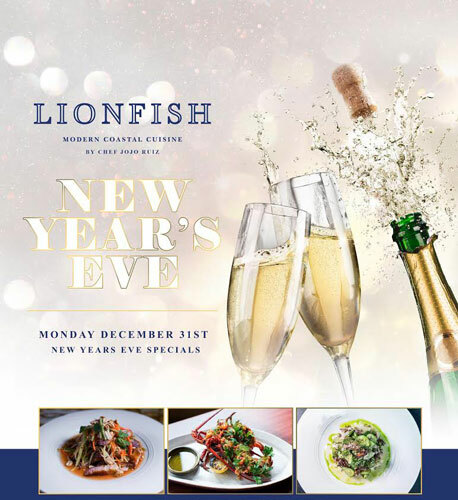 At Lionfish, we like to keep the good times going, so our Happy Hour runs from 5-7 pm every weekday. This is the perfect time slot to fit in a drink with coworkers, or to enjoy a cocktail and an appetizer or two with your sweetie before dinner. If you’ve ever been to San Diego’s Gaslamp Quarter, then you already know this neighborhood is hopping. While the neighborhood is small (16.5 blocks, to be exact), it’s extremely dense with culture, shopping, and boasts a lively nature. 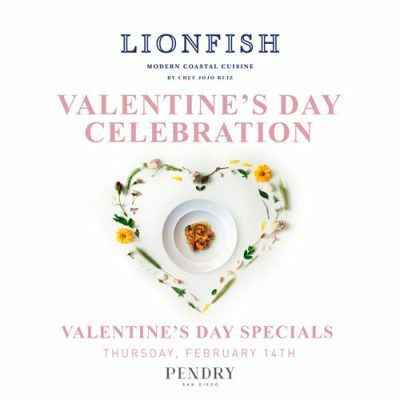 Lionfish is located right in the center of all the action, conveniently located in the Pendry San Diego, San Diego’s premier luxury hotel. 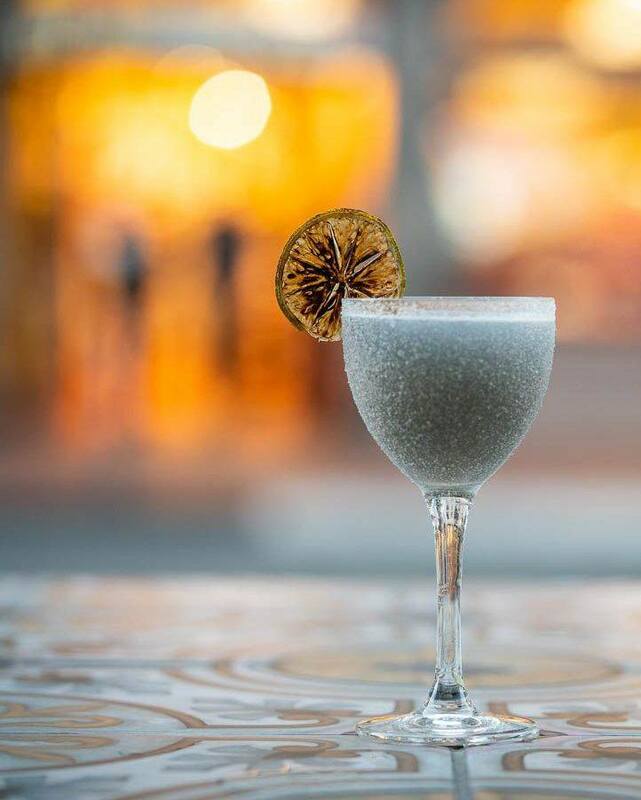 What you drink isn’t the only thing that makes Happy Hour great at Lionfish: it’s also where you drink. Our venue is the perfect place to enjoy a cocktail or two, with a gorgeously appointed space featuring an eclectic So-Cal vibe. Warm elements like wood accents and painted tiles are juxtaposed by industrial-chic elements, creating a sophisticated and interesting space. It’s the perfect place to feel a little fancy, but still enjoy your surroundings in comfort. Take it to the roof. No need to raise the roof: it’s already sitting pretty! You can enjoy our Happy Hour on our incredible rooftop, where you’ll take in the lovely San Diego skyline in luxe surroundings. If you want to upgrade your experience, don’t leave! Our Rooftop is also open for dinner reservations, so if you can’t bear to tear yourself away from the view and the vibe, you don’t have to! $5 beers. During our Happy Hour, Lionfish is proud to offer select drafts for just $5 each, including Ballast Point Sculpin, Bud Light, Asahi, Mother Earth Cali Creamin, Modelo Especial, and Stella Artois. $7 glasses of wine. And it’s not just “house red” or “house white”! You’ve got your choice of several different types of wine, including a New Zealand Sauvignon Blanc, a Falanghina from Camagnia, Argentinian Malbec, and a delicious Rhone blend from the South of France. Decisions, decisions! Rice-Paper-Scissors: Made with Hendrick’s Gin, Junmai Ginjo Sake, Pimm’s Mix, lemon, cucumber, and Ichimi Togarashi syrup. Dante’s Peak: Made with activated charcoal, Casamigos Reposado, El Silencio Mezcal, agave, lime, and peach bitters. This one’s perfect for National Margarita Day! OTC (Over the Counter): Made with green tea infused Toki Japanese Whisky, Makers Mark Apple Brandy, ginger, honey, and lemon. One of a kind food specials. You’ve never tasted anything like Chef JoJo Ruiz’s creative cuisine. 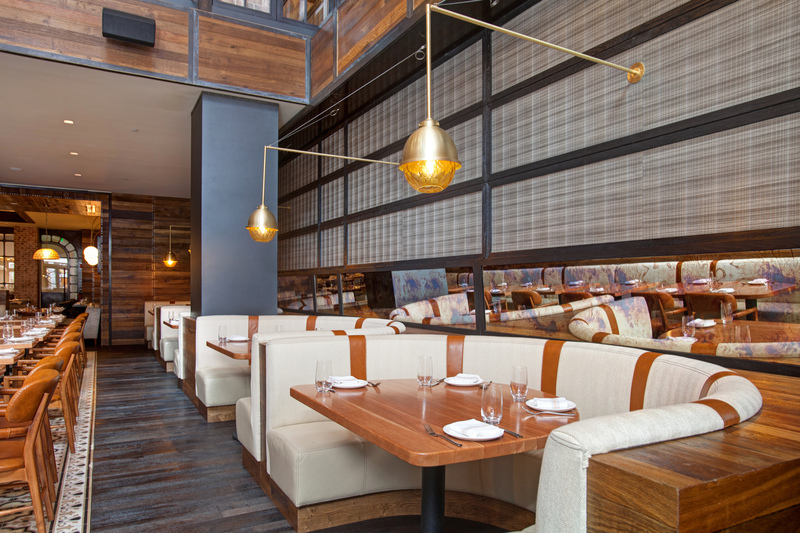 His globally inspired style includes influences from far-flung destinations like Europe and Asia with a healthy dose of upscale American style cooking. Our dishes are made using the best seafood we can possibly source, which may be part of why we were voted “Best Seafood Restaurant” by the Gaslamp Quarter Association and why Lionfish was approved as an Ocean-Friendly Restaurant by the Surfrider Foundation. $1 oysters. Yes, you read that correctly. 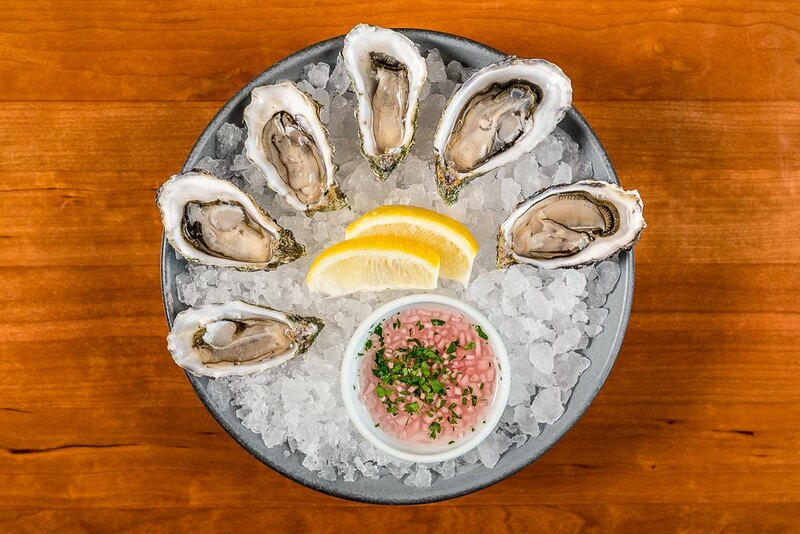 During Happy Hour, we offer Kumiai Baja Oysters with a house-made mignonette for just a dollar each! $9 hot and cold plates. Our small plates are among our more popular offerings, and during Happy Hour, you can score dishes like Tajin Seared Albacore Tuna, Crispy Rock Shrimp, or Duck Confit Tostadas for awesome prices! $8 hand rolls. No, it’s not a dream, it’s reality: our hand rolls are just $8 during Happy Hour! You can choose between options like Baked Crab, Spicy Crispy Rock Shrimp, Spicy Tuna, Salmon, or Veggie rolls! 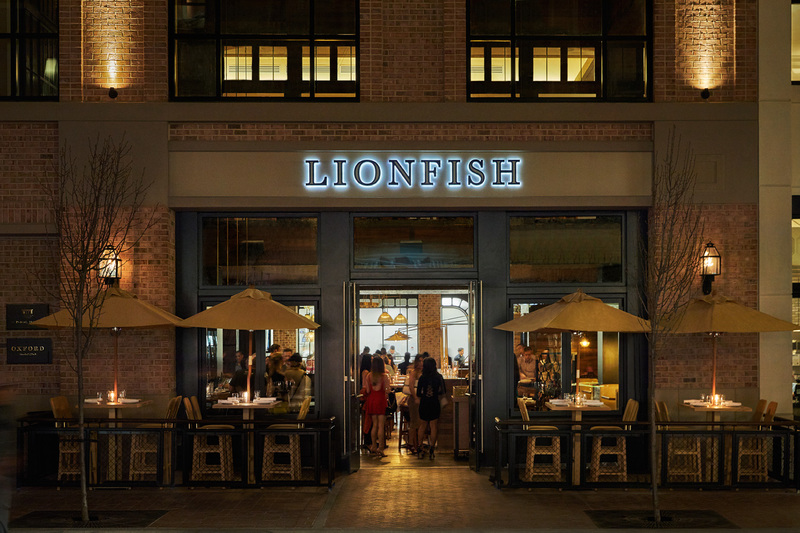 Conclusion: Lionfish Modern Coastal Cuisine offers a Happy Hour that is unlike any other in San Diego. Make it your destination this National Margarita Day (Feb 22) or any day of the week that you need to get happy! We hope to see you at our San Diego Happy Hour soon! What’s your favorite thing about Happy Hour at Lionfish? What Makes Lionfish Stand Out?